Surviving Horse Car Bells, Bell Manufacturers, and Horse Car Manufacturers. The following companies are known to have produced horse car bells. Some may have had their company name or initials embossed on, or cast into the bell. MORE JONES & CO., St. Louis, MO. LEWIS & FOWLER MFG. CO. BROOKLYN N.Y. (car builder) Bells may be marked "PAT'D JAN.21, 1890 MFG. LEWIS & FOWLER"
EAST HAMPTON BELL COMPANY, EAST HAMPTON, CONN.
Bells from the following companies and lines are known to have survived, and now reside in various private collections. HARTFORD & WETHERSFIELD RR Co., Hartford CT.
C&C RR CO (Canal & Claiborne) Greenville, S.C.
H&WH RR -/- HARTFORD & WETHERSFIELD HORSE RR, Hartford Ct.
DETROIT CITY RAILWAY, Detroit Mi. LOUISVILLE CITY RAILWAY, Louisville Ky.
CHICAGO WEST DIV. RY., Chicago Ill.
UNION RR CO., Providence R.I.
WC ST RR CO -/- WEST CHICAGO STREET RR CO., Chicago Ill.
3RD AVE RR CO, New York, N.Y.
HARTFORD ST RWY CO, Hartford Ct.
H&WH RY CO, Hartford, Ct.
NEW ORLEAN CITY RY CO.
42 ST M&ST.N.AVE.RR CO -/- 42 St Manhattenville & St Nickolas Ave RR Co.
LITTLE ROCK STREET RAILWAY, Little Rock, Ark. CPRR -/- CENTRAL PASSENGER RR, Louisville Ky.
B'YRR -/- BROADWAY RR, Brooklyn N.Y.
L&AH RR CO -/- LEWISTON & AUBURN HORSE RR CO, Lewiston ME. L&B RR CO -/- LYNN & BOSTON RR CO, Boston Mass. ANACOSTA & POTOMAC RIVER RR, Washington D.C.
FREDERICK AVE ST. RR CO. St. Louis, Mo. DENVER CITY RR CO. Denver, Co.
CITIZENS STREET RY CO. Memphis, Tenn..
WASHINGTON & GEORGETOWN RR Washington D.C.
CHATTANOGGA ST. RR CO. Chattanooga, Tenn.
FT. WAYNE & ELMWOOD RY. CO. Detroit Mi. RICHMOND CITY RY. CO. Richmond, Va.
ATLANTA STREET RAILWAY COMPANY, Atlanta, Ga.
BIRMINGHAM STREET RAILWAY, Birmingham, Al. W.C. ALLISON & SONS, Philadelphia, PA.
BOWERS, DURE & CO. Wilmington, DE. BROWNELL & WIGHT, St. Louis, MO. BROWNELL CAR CO., St. Louis, MO. CARTER BROTHERS, San Francisco, CA. CASEBOLT & VAN GULPIN, San Francisco, CA. ELLIS CAR CO., Amesbury, Mass. EVANS & PATRIQUIN, Newburyport, Mass. FITZGERALD CAR CO., San Jose, CA. J.S. HAMMOND & CO., San Francisco, CA. JACKSON & SHARP CO., Wilmington, DE. JEWETT CAR CO., Jewett, OH. KIMBALL MFG. CO., San Francisco, CA. LACLEDE CAR CO., St. Louis, MO. 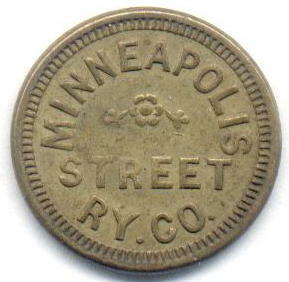 LYNE & CO. MFG. WORKS, Hoboken, N.J.
LACONIA CAR CO., Laconia, N.H.
MURPHY & ALLISON, Philadelphia, PA.
MEISTER IRON WORKS, Sacramento, CA. O'BRIEN & SONS, San Francisco, CA. PATTERSON & CORBIN, St. Catherines, ONT. ST. CHARLES CAR CO., St. Charles, MO. VULCAN IRON WORKS, San Francisco, CA. WASON MFG. CO., Springfield, MASS. WELLS & FRENCH, Chicago ILL.
WOEBER BROS. CARRIAGE CO., Denver, CO. According to the "World Gazetteer of Tram, Trolleybus and Rapid Transit Systems", there are nearly 300 more cities and towns for which I have been unable to find specific information. If you have information on Horse Drawn Railways in any of the following cities and towns, I would greatly appreciate it if you would please share that information with me via the email link below. 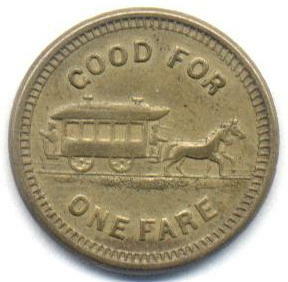 Information on horse car lines, bells, and manufacturers is scarce, and is greatly appreciated. You may use this email link to contact me.